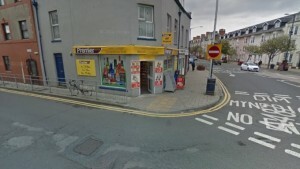 DYFED-POWYS POLICE is investigating a robbery at the Premier Store, North Parade, Aberystwyth, which happened at 8:40pm on Easter Sunday. Officers are currently seeking a male, described as being between 30-35 years of age, in connection with this incident. Police say he was wearing a grey and blue hoody, a black ski mask and was carrying a black draw string bag. He is known to have turned left when leaving the shop, heading towards Thespian Street. No one was injured during the incident, but the male left the scene with a quantity of cash. Anyone with any information in relation to this incident is asked to contact police on 101, or Crimestoppers anonymously on 0800 555 111.